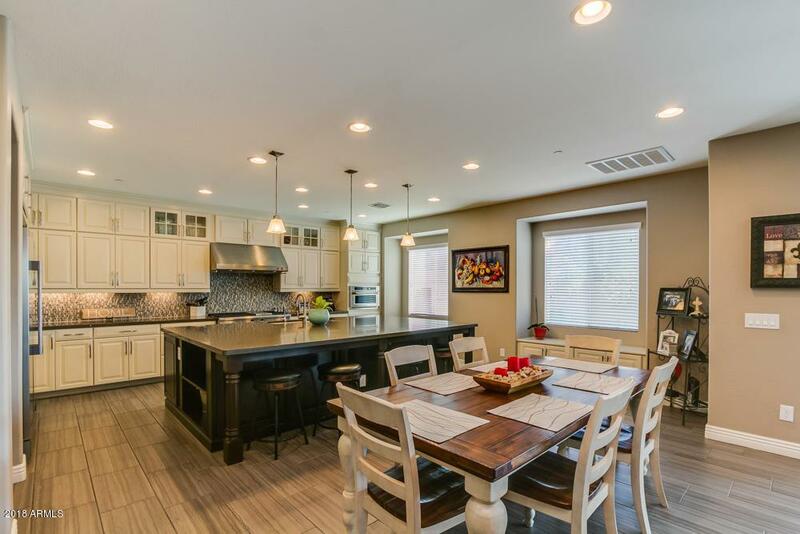 Welcome home to this gorgeous newer 2-story in the gated community of Madison Vistas in the coveted Camelback Corridor. 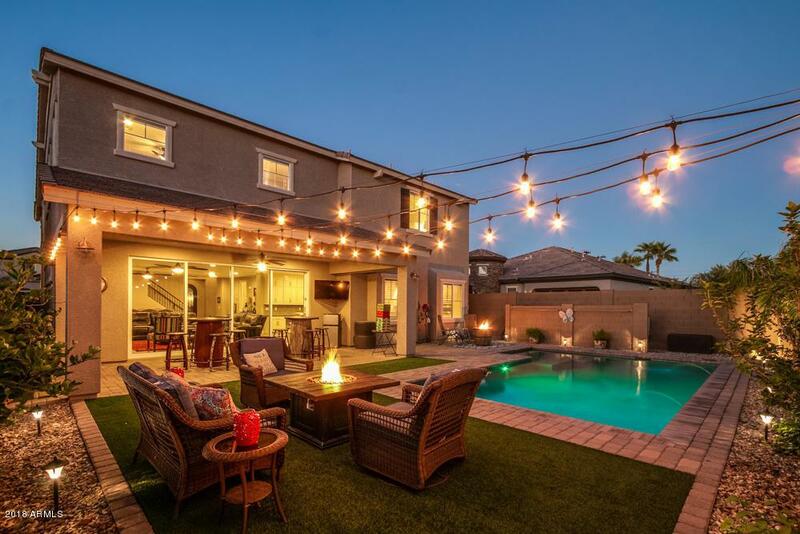 This private home boasts an open floor-plan with 5 spacious bedrooms all en-suite w/walk-in closets. 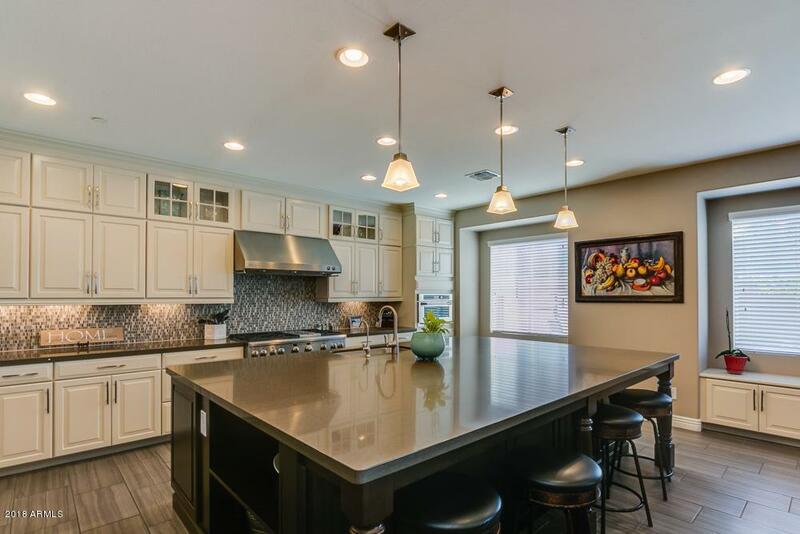 True Chef's Kitchen features oversized 10' by 7' Quartz Island, Custom cabinetry stacked to the ceiling, top-of-the-line appliances including 48'' stainless steel gas sealed burner double oven range and 32'' built-in refrigerator/freezer. 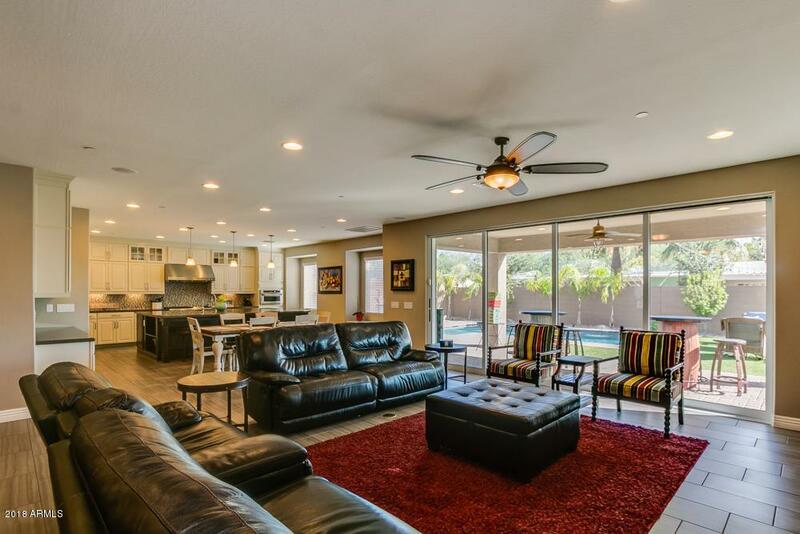 Great room has 16-foot sliding glass wall and opens to the Entertainer's backyard. Large Covered paver patio, New pool that lights up at night with large shelf great for sun-tanning. Cool-turf in backyard is easy to maintain and stays cool in the summer. Excellent floorplan with one bed/bath downstairs, 4 bed/bath plus loft area upstairs.